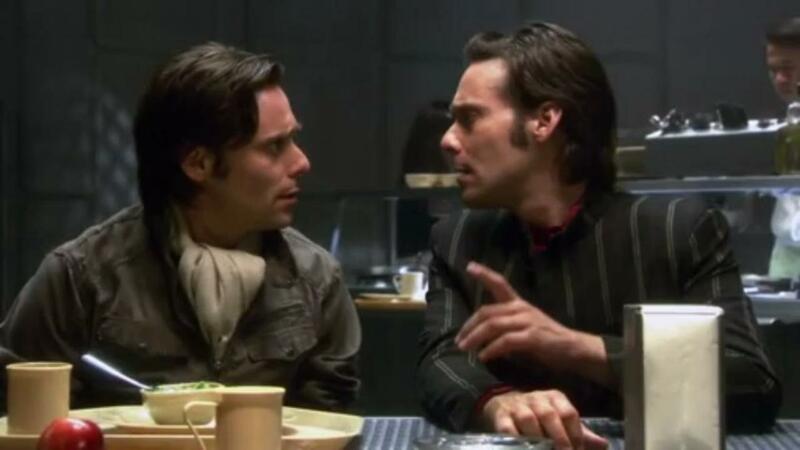 Let’s get this out of the way right now: “No, we are not going to talk about the fragile body of Gaius frakking Baltar!” is the funniest line ever uttered in this show. It singlehandedly makes a repetitive and dull storyline fairly tolerable, and it is perfectly played by Michael Hogan. I say repetitive and dull because it’s the show trying to turn a bunch of high concept visuals into a compelling story, when it would do well by simply focusing on the character aspect of the story. That’s why the Tyrol storyline is more compelling here. The ideas of guilt, the past, and identity all intersect in a fantastic scene between Tyrol and Adama at the bar, and Aaron Douglas does a great job of conveying the conflict brewing in his mind.